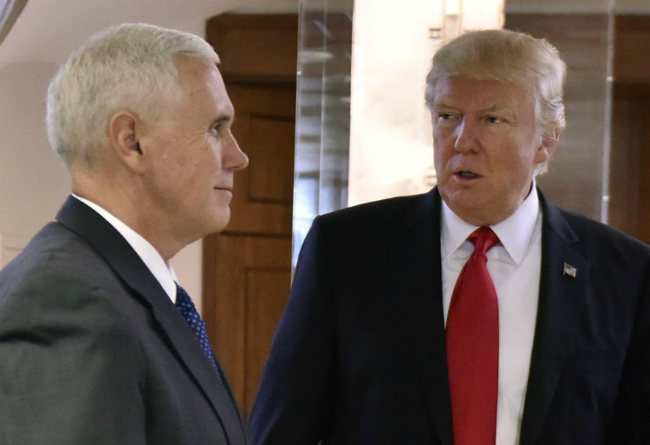 WASHINGTON – Vice President Mike Pence was obviously lying when he told President Trump that nothing out of the ordinary was discussed in this morning’s intelligence briefing, according to a White House staffer who overheard the conversation. Pence has stepped in to receive the President’s Daily Brief, or PDB, because Trump has declared he doesn’t need a briefing every day. According to the White House, Trump gets a weekly briefing. Speculation is rampant in and around Washington that Trump and/or members of his administration in addition to retired Lieutenant General Michael Flynn may be implicated in wrongdoing regarding communication and possible collusion with Russia both during and after the presidential campaign. Some theorize that Pence is already prepared to take over as president once Trump is impeached or otherwise forced out. There is currently no evidence this is the case. “I don’t know what was talked about, and it could well have been nothing special, like the vice president said,” the staffer said.